Not only are pests annoying and unsightly, they also can pose health risks to your family. Many common pests carry diseases, such as malaria, dysentary, and Lyme disease. 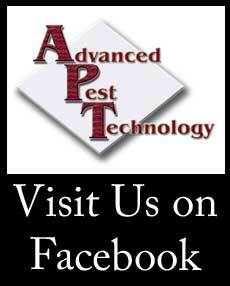 At Advanced Pest Technology, we treat a myriad of pests, including, but not limited to, ants, cockroaches, flies, wasps, ticks, mites, fleas, mosquitoes, silverfish, wood ants, chiggers, mice, and rats. Be sure to ask about our insect misting systems.